Mary Lou Burhoe, wife of CurePSP Board Chair Emeritus John Burhoe, passed away from PSP after almost 45 years of marriage. Here, her husband tells the moving story of their life together and the poignant last years of their patient journey. Firstly I would like you to meet my wife, not the lady consumed by PSP but my wife of almost forty-five years. This is the lady I want you to know. You are about to experience an intimate, realistic, sometimes ribald look at one couple’s once in a lifetime journey meant to be shared and to prepare others traveling the same path. It’s not sugar coated, it’s OK to laugh, cry or anything else, so sit back and share our journey. I am currently on the national PSP organization’s Board of Directors (www.CurePSP.org) and will be speaking throughout the country to share my Caregiving experience (and lessons learned) and raise awareness of this dreaded disease as well as educate on the various services that are available to the patient and Caregiver. Mary Lou (“Lou”) and I would have been married forty-five years ago July 5th, 2008 we made it to forty-four years, nine months, fourteen hours and twenty-five minutes. We have two boys (45 and 42) and six grandchildren (one died at birth). Like any couple we have had our ups and downs, good and bad, but overall have a bond forged by sharing our lives so intimately. Lou and I began this once in a lifetime journey in 2003. I will go into its progress but my intent is to focus on the human side of our relationship; how we cope, an intimate look at our journey. Finally to share advice all too often learned the hard way and to pay tribute to an extraordinary lady with guts I can only dream about. A rambling love letter if you will. 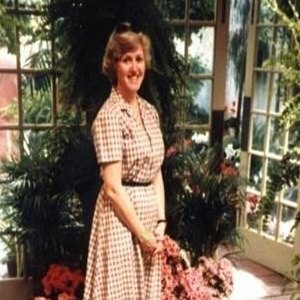 After a five year battle Mary Lou passed away on April 6, 2008 of Progressive supranuclear palsy. PSP and sister disease CBD are degenerative brain diseases that have no known cause, treatment or cure. It causes complete disability by progressively impairing all movement, balance, vision, speech and swallowing while allowing all cognitive facilities to remain intact; you are literally a prisoner in your own body. It is always fatal. Related diseases are Alzheimer’s, Parkinson’s and ALS (Lou Gehrig’s disease) that attack different parts of the brain causing various manifestations. Lesson One; this will happen and you must learn to cope, to control his/her and your frustrations as much as possible. You WILL get frustrated, you WILL sometimes lose your temper and you WILL later feel absolutely terrible! You must recognize that you are human and try to forgive yourself and ask to forgiveness of your spouse. Easy to say and very VERY hard to do. Lesson Two; Find sources of support. These will not necessarily be where you would expect them; family some, friends, yes, but also many other resources. In our case one is Sports, Spine & Industrial (SSI) a combination sports training, workout and Physical Therapy facility located in Greer, SC. We first went there under Medicare to slow Lou’s decline as much as possible. These professionals did just that and so much more, developing a bond with both of us that became a major pillar in our support structure. You remember what it was like every time Norm went into Cheers? “NORM! !” Well that’s like it was when Lou wheeled into SSI. We went twice a week up until November, 2007 when Lou just couldn’t do it anymore, Lou worked with Jenny and I have an hour or so to work out and yak with everyone. We both looked forward to this. There’s Church; Lou is Catholic and I am Baptist. We go to a small rural Catholic Church where most everyone sits in the same place; ours is the last row on the far left. People know us and always greet us warmly. I still go there and am known as the heretic called “John the Baptist”. Getting up in the morning (I was always first) I creep out and check back often. When Lou is awake, first a kiss, slippers on and standup. Big hug and squeeze, which often gets a reaction from the opposite end (and a good laugh to start the day). Then a visit to “Mr. T.” proceeded by our “Toilet Tango”. These and others I won’t go into are little rituals that we shared. You will develop your own. Whether to stay at home or utilize an extended care facility is often contingent on the availability of twenty-four hour care. I was fortunate to be able to conduct my business from my house so our decision was made easily. For those unable to provide that care I recommend that you carefully research potential facilities to insure you are making the best possible decision. Whether to insert a Feeding Tube or not is a personal decision. I suggest that you thoroughly research it including discussions with your Doctor. We found that a portable Aspirator (cost about $250) is a great aid when those inevitable choking spells occur. Curepsp.org is a valuable source of information. Educate yourself. Communicate with other Caregivers; it is a great source of information and comfort. Get Hospice involved early. Most think you should wait until almost the end, WRONG. They are a major source of information, support and a resource of compassion and experience, Use them! Now a story that has a major point; we were invited to a Care Planning Session for Lou at the Hospice. We wheeled in to approximately ten people sitting around a table. I introduced myself and said; “now I want you to meet my wife”. I did not turn to Lou, rather pulled out pictures spanning from when she was a Flight Attendant in the early 60’s, our wedding in 1963, pictures through the years of us and our family, not major occasions, just us. This is the woman I know and want others just meeting her to know. Put a face, character and personality to what is now hidden behind a frozen mask. I have done this several times hence and find that people looked at Lou far more as a person rather that a frozen face in a wheel chair. I want to share this lovely, vibrant person I know with others who did not have the privilege. Maintain the relationship, look for and share the humor albeit sometimes dark. Make sure others know the person behind the mask that you know. Introduce them to that person. Never, NEVER let anyone refer to your loved one in the third person when he or she is sitting right there. “Does she want something to drink?” Answer, “I don’t know, why don’t you ask her?” Nothing is more dehumanizing and degrading than that. You WILL loose your temper and say things you regret. You’re human, forgive yourself. Sounds easy but it is not! Don’t wait, Do it now. We put a porch on the back of our house, sat out there every day; watched a young Mockingbird grow up before our eyes. We took car trips to Orlando (Lou’s brother), friends in Dallas, roommate and brother in Pennsylvania, Sister in Maine. Flew to the west coast to see family and friends early last year. In three weeks drove from San Diego to Sacramento to Phoenix to Palm Springs to Orange County. Don’t wait, do it now and for as long as you can. Every day up until December, 2007 we were in the car, food shopping, SSI, Church, Lowe’s for hardware and gardening supplies, Panera’s for coffee, or just taking a ride in the countryside. We also go to Stein Mart and Goody’s to buy clothes. There are several in the closet that were never worn but the experience and enjoyment are worth it. We went to church up to the end of March, 2008. Find a good local Neurologist with whom you are both compatible. We were fortunate to find a straight forward, caring, no nonsense lady who suits us perfectly. It took a while, but we found her and it was worth the effort. Allow yourself to have diversions. Mine are three businesses with my partners that I can conduct from home. It’s a diversion and a source of income. Other diversions are promoting the concept of Hospice, building awareness of PSP, reaching out to sister charities, specifically, ALS, Alzheimer’s and Parkinson’s and sitting on the Cure.PSP National Board. Don’t feel sorry for yourself, what good will that do? Count your blessings and treasure the times you’ve had, and still have together. Right now you focus on your loved one’s happiness. Treat him/her as the person you’ve always known because that person is still there behind the wall! Be willing to fail, whatever it is, try it, if it doesn’t work, and some won’t, at least you gave it a shot. Don’t be afraid to ask for help. This I find very difficult to do. Don’t be thick headed about it (like I am!!). I had the kitchen table filled with pictures of us plus our family and friends. Every time I walk by I pause, look, remember and count my blessings. You do the same. Now a very personal note that no one talks about. You as a Caregiver will experience a gamut of emotions as you travel this road with your Loved One. One of these that is virtually never talked is . . . RELIEF at the passing of someone you hold so dear. Yes I said RELIEF. Don’t, I repeat DON’T feel guilty; it is a natural phenomenon that everyone feels because a great load has been lifted from your shoulders and you now have your life back. No one talks about this but everyone experiences it. This is when you reach down deep and see what you’re made of. Someone is depending on you; don’t let him/her or yourself down. On the occasion of our 20th anniversary I wrote Lou a poem recapping our first twenty years and looking forward. I’d like to share the final portion with you. The cornerstone on which we erect the structure of our family. In 1963 when we began the greatest adventure that God gives man. Into the enduring fabric of God given love. And beyond, when we’re taken to God’s heart. I hope that I lived up to those words. On the 6th of April 2008 at 2:25pm Lou passed peacefully to her Lord with her husband and two sons at her side. That was the culmination of our personal journey to the Lord that began with Lou’s fall those five years ago. We miss her greatly. Was it an old Nike commercial that said “Just Do It”? Another aspect is the impact that these five years has had on me and my relationships with Lou and my God. This will either drive you closer to God or further away. In my case I came to the painful epiphany that this wasn’t about Lou, it was God working on me through Lou. You can imagine the impact knowing that the one you hold most precious was being caused to suffer so greatly in order for God to touch me. The Lord also provided that my business could be run from home and in the past two years has flourished after six years of grinding by my partner and me. This provided me with 100% of my time at home and the means of providing for my wife’s physical and emotional comfort. We vowed she would pass to her Lord at home, and she did. Strength of Character to accept what she cannot change with grace and dignity and to take responsibility for that which she can change, to do the “right thing” not the “easy thing”. The will to succeed, not give up, continue to do what is right for her and those around her. No whining, no excuses, no feeling sorry for herself. The Mary Lou Burhoe Scholarship Fund was established to honor my wife though providing on a nondenominational and interracial basis assistance to those young people who mirror her core values. Awards totaling over $20,000 have been made to six white and six black students representing the Catholic, Baptist and Presbyterian Churches who are attending Greenville Tech, North Greenville University, Benedict, Wofford, Furman, University of South Carolina, Spartanburg Methodist College and North Carolina A&T. The program is funded by me through Reverend Darrell Sands of the Mount Pilgrim Baptist Church. The first recipient will be featured in the Greenville News in the near future. She made a mistake at sixteen becoming pregnant. With the support of her family she took responsibility, continued high school, had and is raising the baby. She graduated High School and currently attends a College while caring for the baby and working part-time. Clearly Ann meets the criteria and has been awarded a substantial amount and Baby Jane has a Future Scholars Account established as well. Jenny who married Berti, an Albanian Native who attended seminary here and is now an ordained Presbyterian Minister. They moved to Albania in August, 2007 and have established a now active church there. They are supported with an ongoing monthly donation. There is Jessica who worked her way through Clemson and after two years of productive work is going to USC for her Master’s in Public Health. A Lap Top is required and her funds were exhausted, she now has it. There is Jennifer who did not graduate High School and cleans rooms at a local Extended Care Facility. A hard worker, she has found her calling and aspires to be a Certified Nurse’s Assistant (CNA). This requires a High School diploma and four month minimum study. She has completed her GSA and will enroll in the CNA program at Greenville Tech. All her expenses are covered. Samantha is a graphics designer who wants to take her craft to the next level through a college degree. She will now be able to do this on a full time basis. There have also been grants to fill needs, Dental Expenses, automobile accidents, medical expenses, clothes, etc. At this point enter the Reverend Darrell Sands of Mt. Pilgrim Baptist Church who my wife and I met of all things at the painting of the interior of our house. Let me explain John Smith is one of Darrell’s Deacons and owns a successful painting company. We hired John and, low and behold he brought his Pastor with him to help, or at least so he would have someone to “FUSS” at! Over three days of painting. Darrell and I bonded and began our relationship. He and I have formalized my activities under the Mary Lou Burhoe Scholarship Fund of the Mt. Pilgrim Baptist Church. On August 3rd we presented Scholarships to six Mt. Pilgrim members who are either entering or continuing their college education. These include Purl (North Carolina A&T), Rickey (Wofford), Nikki (North Greenville University), LaShanna (Furman), Brittney (Greenville Tech), Tianna (Benedict, not shown), so along with Spartanburg Methodist College and the University of South Carolina brings the total awards to twelve and institutions covered to eight. Our goal is to solicit Patrons and corporate support to expand this nondenominational and interracial program honoring the values and example of Mary Lou. Carolyn, my late wife’s best friend of over twenty-five years, is now my “Second Time Around!” She and Don, her late husband, were our neighbors in Dallas in the 80’s. We spent weekends together at their lake house, played golf, traveled together, etc. and attended two of their children’s weddings. The relationship continued even when we moved back to California ten years later. Don was struck down by a heart attack in 1998 but the relationship between Carolyn and Lou endured with cross country visits. We had moved back East when Lou in 2003 mysteriously had a fall out of nowhere. This began our five year journey with progressive supranuclear palsy (PSP) which culminated with her passing in 2008. Throughout this Carolyn stood steadfastly by Lou with phone calls and often visits. As Carolyn said when speaking at Lou’s “Celebration” they were truly “Soul-mates”. Carolyn and I were drawn together in the subsequent months by our grief, the sharing of the common experience, long relationship and the loss of a partner of so many years . . . . . Well, to really get down to it we were highly attracted to each other and, I guess, it had always been there. In the movie An American President Michael Douglas talks about losing the woman he loved and being blessed with the unique opportunity to love passionately again. I put myself in that company, to love once passionately is a blessing, to re-trace those steps in my seventies is an opportunity not given many and I will treasure Carolyn always. Oh, for all you youngsters out there (that’s everyone under sixty) don’t think for a minute that our marriage is one dimensional, Au contraire! The late Dr. W. A. Criswell of Dallas in counseling a couple on a second marriage stated “Life is short, life is fragile. Your love for one person will never diminish your love for another. Love never divides, it always multiplies.” We both can look forward without diminishing the love of our past. Our upcoming years together will be active with business, family, friends, travel, church, concerts and each other. All in all, not a bad final act, don’t you think? HONOR YOUR LOVED ONES BY PARTICIPATING IN IT! A graduate of Yale University with a Masters in Business from Pepperdine, John is a former Naval Officer and airline executive for Continental and American. Though “retired” John is an active Partner in three companies and sits on the CurePSP National Board. John was the caregiver and shares the real word of caregiving.